Below are just some of the comments from families who wish to share their experiences of Regency Park with you. “Our first and continuing impression of Regency Park was that of the openness and cleanliness of the building and the way in which it looked and felt like a family home. Also, the one level floor plan is a definite plus because the residents do not need to use either elevators or stairs to move around the facility." 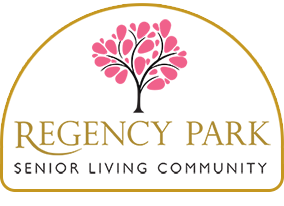 “We are very pleased with the care our mother has received at Regency Park and are very impressed with the entire staff of the Residence to include the nurses, caregivers, social director, receptionists, and kitchen and maintenance personnel." “Our mother definitely enjoys the social program at the Residence that includes recreational games and activities, weekly entertainment brought to the Residence and outings for the residents at local restaurants and shopping malls.” L.P.D. “I am pleased with the staff’s commitment to quality service and caring expressions shown to visiting family members and their loved ones residing at Regency Park.” R.A.M. “I knew the day would come when Lucille would leave us. Although it’s a part of the life cycle, it’s never easy to say goodbye to a family member or a good friend and especially your mother." “Thank you all for being such wonderful friends and caregivers for my mother.” R.D. “I personally want to tell ALL of you what a special atmosphere you provide for the residents there. It means so very much to know that our loved ones have such caring and helpful “friends” assisting them, providing meals, doing their laundry, keeping their rooms clean and neat, providing entertainment and ALL of the many other things.” E.W. “Last month, I attended the Pot Luck Dinner for the residents and their families and it was a fabulous event. Not only was the food delicious, but the service from the staff was excellent." “Aunt Alice’s days are full because she gets to socialize with her friends and she joins in on the activities Regency Park offers to their residents. The Activity Director keeps the residents busy with many interesting activities throughout the year. I am always impressed with her ideas and the entertainment she schedules for the residents." “I want to thank each and every one of you for your true dedication to your job. I know it is not an easy job and I appreciate everything you do for the residents. Aunt Alice is blessed to have so many angels looking after her at the Regency Park Assisted Living!" C.T. “This shows me one key thing – that there is a theme among most – if not all – of the people at Regency. As much as they are hired because of their technical skills, they are selected as well because of their love and desire to care for elderly people.” J.M. “Everyone at Regency was wonderful but in particular we would like to thank Bessie for her tender care each day and Ashley for here care on that final day.” P.K. & S. J. “My family and I would like to take the time to thank you and your staff for the quality care and peace of mind that has been given to us since our grandmother and uncle have become residents at your facility. My cousin and I visited, unannounced, seven different assisted living homes in the area and were most pleased with your options and services. It was a difficult decision for our family, but since their arrival, we now know that we made the correct decision." “We now go to work with piece of mind and have very pleasant visits instead of stressful worry and the added work of keeping up another home. “The staff is another reason for our feeling of relaxation. They seem to genuinely like the residents and call them by name. They get to know the family and speak to us when we visit Regency and keep up posted on our loved ones daily activities." D.F. “I just wanted to take a moment to let you know how pleased and reassured we are about the decision to move our dad into your facility. The realization that he could no longer live in the house he and our mom shared and raised a family in was hard enough, but then we had to put a plan into motion." “I must say my feelings went from dread and guilt to thinking this was the best decision I could have made for my dad.” S.W. “We would like to take this opportunity to thank you and your staff for the care our mom receives at your facility." “Making the decision to move Mom to an assisted living center was one of the hardest decisions we have made." “Mom has been a resident now for seven months. Your staff has continued to be caring and understanding to both our needs and Mom’s needs. Each time we have had a concern, the staff immediately addressed and resolved the issue in a professional manner." “Your staff is comprised of kind and caring individuals who create an “at-home” atmosphere for the residents.” P. & J. B. “It is such a pleasure, as I am signing in, always to be greeted with a smile and a warm hello. I am always amazed that in such a facility, that the place is being cleaned continually. The kitchen staff is constantly trying to offer a variety of food for the many tastes of the residents. This indeed is not an easy task, I am sure. The social functions for the residents are another service that I truly am thrilled about. I have personally witnessed your Social Director doing everything possible to give the residents a challenge, functions to look forward to, and a “Happy Hour” that makes them all happy." “I also have been in awe of you and your staff in the willingness to work out any situation that may arise. Your nurses are so compassionate and willing to listen to all the problems.” F.H. "I want to take the opportunity to thank you and your staff for the care and attention that my mother received during her 5 1/5 years at Regency Park. Mother enjoyed her time at Regency Park and came to think of her fellow residents and staff as extended family.” A.N.F. “There are no words to express my sincere thanks for all you have done for my mother." “Those who cared for my mom the way she needed to be taken care of, and you know who you are. I can never repay your kindness. Just saying ‘good job’ doesn’t seem enough. Were I rich, I would do something great for each of you. But I can only say that I have the deepest respect for you and your staff.” P.
Baltimore Maryland and Washington DC.